September 1, 2016 - Ok. So now you know our dirty little secret. We took a break from newsletters this summer. No, we were not serving "Beer to Our Horses ♪♪♪" or "Singing Sweet Home Alabama All Summer Long ♪♪♪" over lunch with agents in our L.A. office. In one of our busiest summer seasons ever, we were booking, producing, and ticketing concerts like Sammy Hagar, Martina McBride, Dolly Parton, Duran Duran, Dierks Bently, Smokey Robinson, Goo Goo Dolls, and so much more at casinos in the Northwest, Pacific Southwest, Southwest, and Midwest. 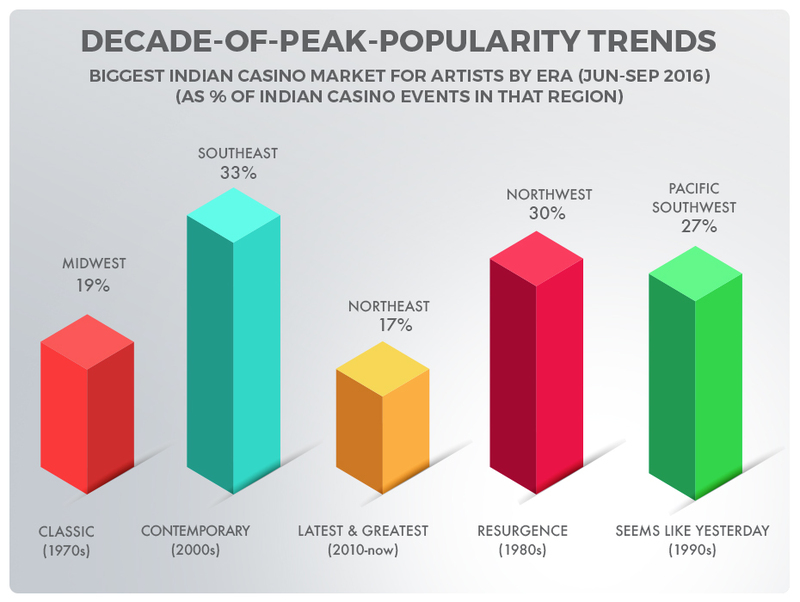 In our last issue, we reported on Indian Casino summer concert trends relating to artist genre, era, and language on a NATIONAL level. (If you missed those stats, just click here.) And while we don’t publish our deep dive data for public consumption (we save that for our concert clients ☺), in this issue, we nevertheless dig one level deeper to give you regional trends that indicate what’s hot and what’s not in your general area. For Rock, the Southwest states are the winners with 68% of total engagements (although Midwest was a close second at 64%). And the region most willing to go out of its comfort zone is the Pacific Southwest, where “Other” engagements make up 10%. 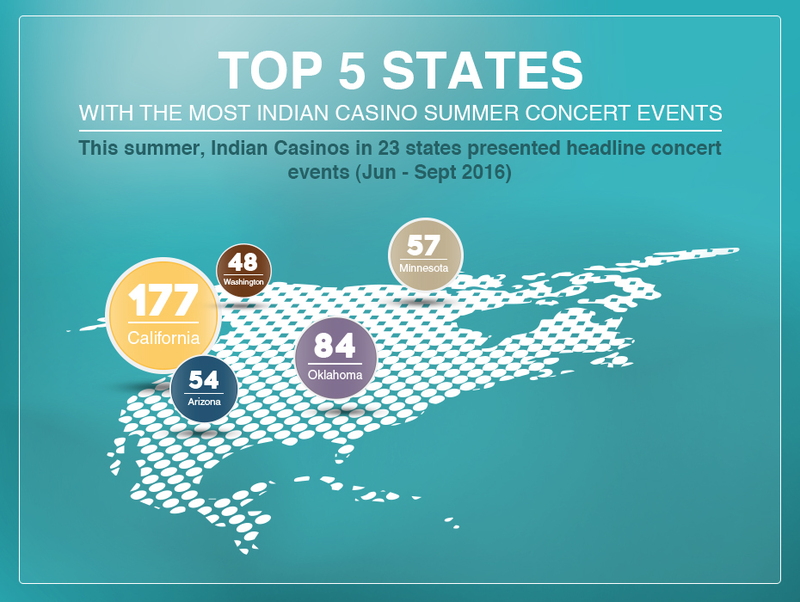 Next month, we’ll wrap up our summer stats series talking about specific artists who really turned up the heat during this Indian Casino summer concert season. 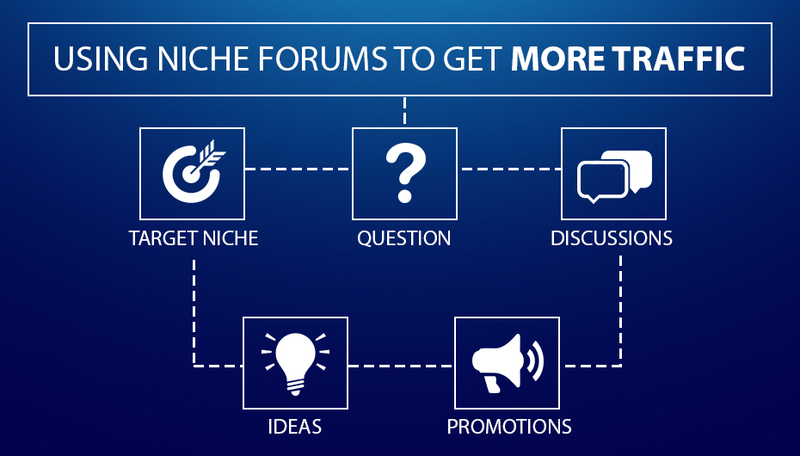 This is just a high-level overview of the trends we track. 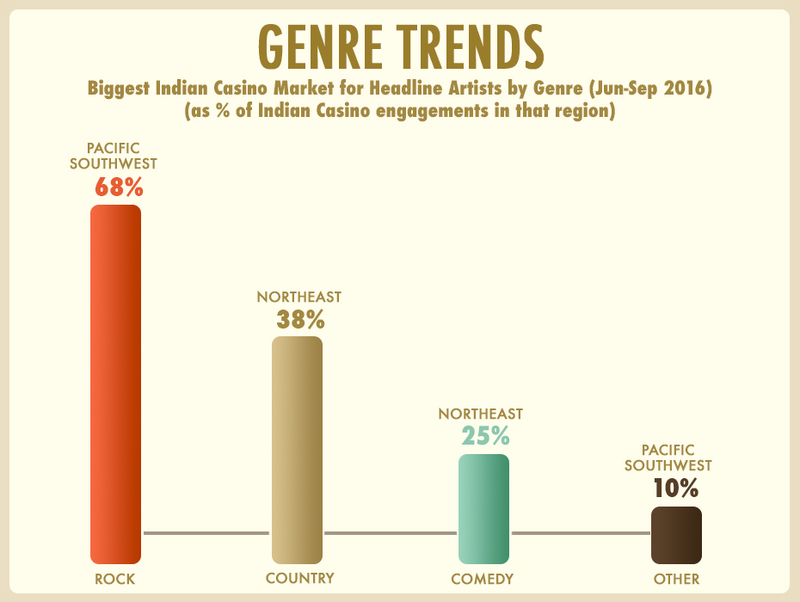 For more detailed or specific data regarding trends in Indian Casino entertainment, please contact us. 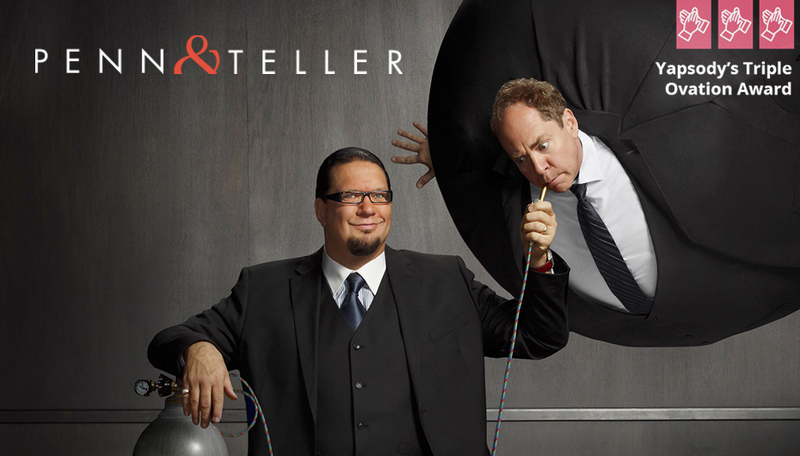 A Triple Ovation for Penn & Teller!